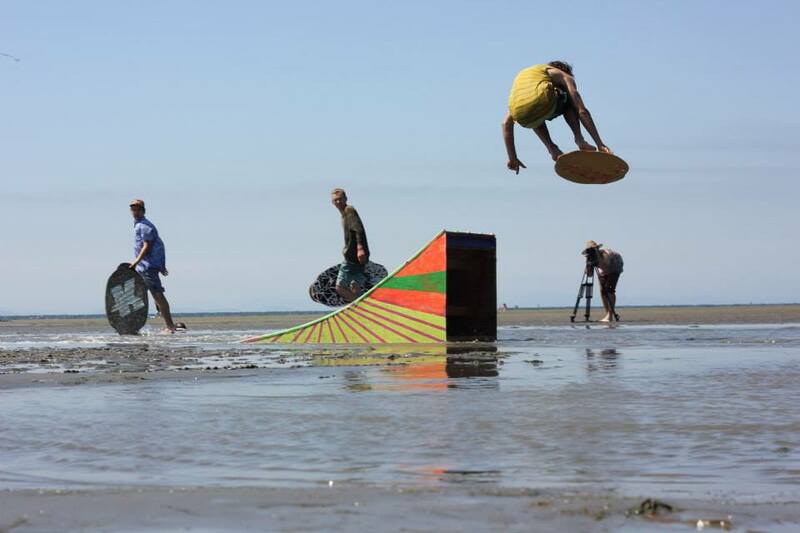 This summer I had the pleasure of sitting down with Chris Siemens and Nick Niebuhr, the duo behind Hanzane Skimboards, based out of White Rock, BC. 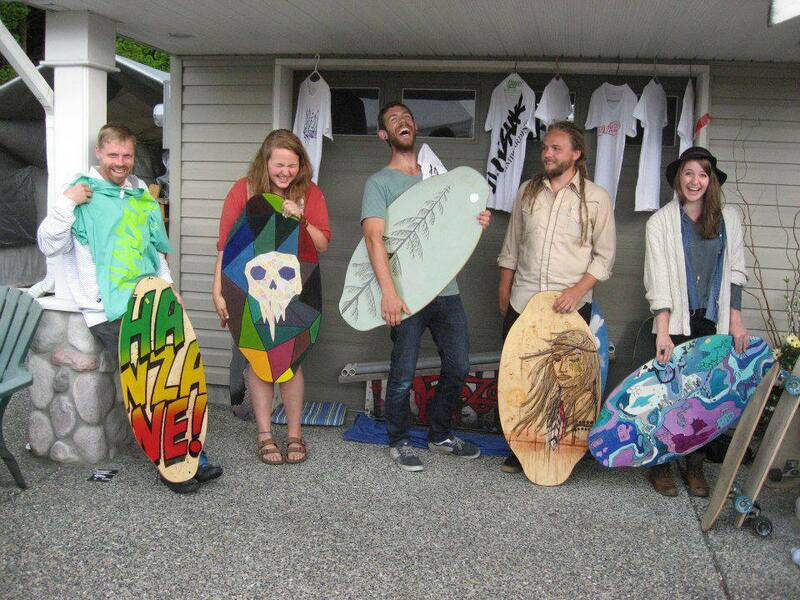 Their boards are handcrafted and handpainted. Each board is unique. And they sell for less than the competition . . . what’s with that? CK: How did this all start? Hanzane: We looked up how to create a board online! I took a piece of plywood, cut it into shape, soaked it for a couple days, clamped it and let it dry, painted and varnished it and it was good to go. That’s how Hanzane started. Our first challenge was finding a base material that was strong enough to withstand rubbing against the sand and rocks; that’s where we’ve had the most innovation and change. 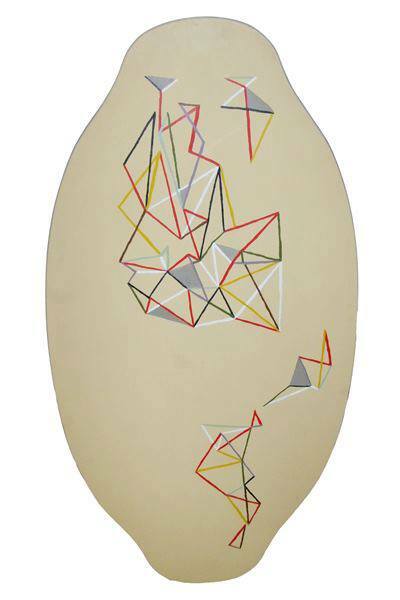 Now, our skimboards are a wood core with fibreglass on the bottom and sealer on top. We bought some tools and learned from others too. We’ve had this board shape for about two years now. CK: Do your boards differ from other companies’ boards? 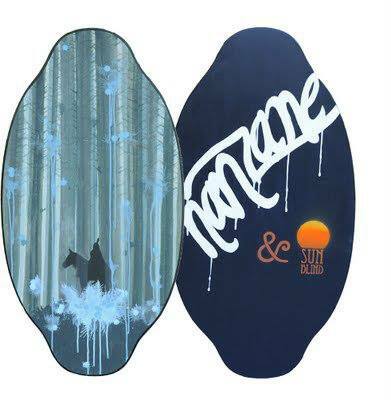 Hanzane: In size, our boards are a couple inches different but the shape is fairly standard. Some people do asymmetrical shapes with a distinct nose and tail but we think having both ends symmetrical gives you a longer lasting board because you don’t wear down one end so fast. We’ve changed our shapes a little bit and this year we’re working with boards that are a little bigger so they don’t sink as easily in deep water. I’ve tried to use what I know from my own style of riding; hopefully people will like that. CK: Starting with the art, a lot of things stand out about Hanzane. 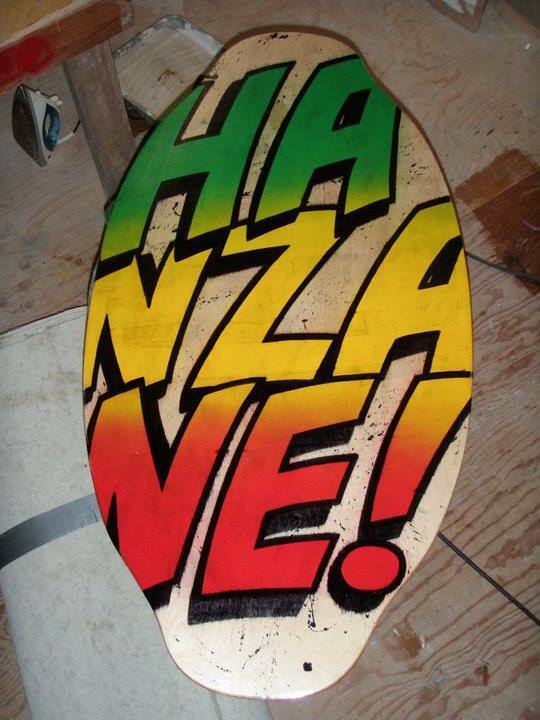 Hanzane: Our boards are handcrafted and handpainted. The art is one thing; there’s also the process and the pricing. A pretty standard company in skimboarding will sell their stuff for about $180 plus tax. They will also make cheaper beginner boards. 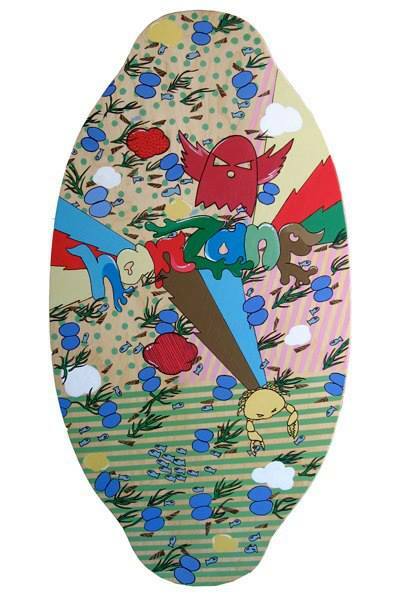 Our boards are $120, so we’re significantly cheaper while putting out a quality product. While established companies use more mechanization, that isn’t necessary for the quality of the board. CK: Who does the art and how does it get onto the boards? Hanzane: We prime and paint directly on the wood surface and finish it with a heavy-duty sealer. Each board is unique. We will also create custom designs based on the customer’s idea and preference. Chris (Siemens) does a lot of the art but we have art from Laura Klassen, Tessa Nickel, Catherine Bennington, Nick, and several others. CK: If someone wants to have you create a new original design, is that an extra charge? Hanzane: We charge about ten bucks extra for that. CK: So, for ten dollars I could get an original custom design, and the board is still cheaper than the competition’s? Hanzane: Exactly, We pride ourselves in every board being different. There are a lot of companies -skateboard, skimboard, snowboard- who just do lines of standard identical boards. We do create some stencils, which are reusable, but none of them is identical. CK: Your stencilled boards remind me of POGs! They’re all a little different. I want to collect them all. CK: Do you have a website that people can buy from? We have a lot of fun doing this. It’s something we enjoy and we try to make a point to not worry too much about making a profit but in taking joy in the riding and making of skimboards and making sure that those two things never become disconnected. We don’t want to turn into a factory that cranks them out and doesn’t care about what happens afterward. We love making things by hand and doing it ourselves rather than outsourcing. We also try to make a point of connecting and communicating with each customer so the whole process is congruent. Our focus is doing skimboarding and woodworking well.